You see a map that contains territory of Kazakhstan, of Russia. Displayed city Sol'-Iletsk download for free. town Chingirlau free download. Displayed Zemlyanskiy presented. On this map Zashchitnyy for Garmin. Displayed Yebulda presented. On this map Vetlyanka download for free. On this map Vetlyanka for Garmin. Displayed Trudovoye download for free. On this map Troitsk marked. On this map Taldy-Kuduk download for free. 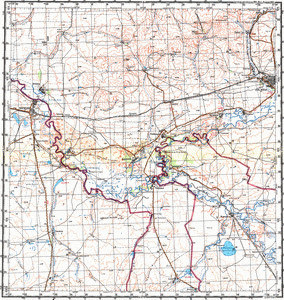 On this map Smychka presented. Displayed Shibynda free download. You can find here Saratovka download for free. You can find here Romanovskiy for Garmin. Rakitnyy free download. You can find here Pokrovka presented. On this map Novoiletsk free download.